Beautiful Units with a stunning Panoramic views of the Kaikoura Mountains, Sea & Coastline. 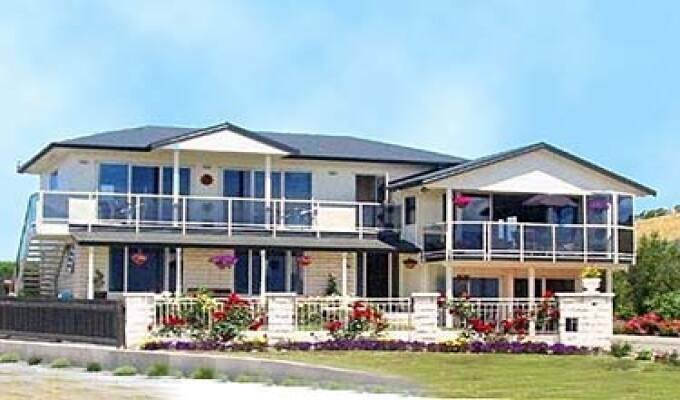 Situated in a peaceful location handy to all local attractions & Marine life. Each unit has its own kitchenette, fridge, microwave, dishes, cutlery, fresh plunger coffee & tea facilities. En suite bathroom with toiletries, hairdryer etc. Includes a generous breakfast each. Free WIFI. Laundry facilities.